As a parent, you regularly take your child to well check-ups to receive immunizations, offer nutritious food to keep him healthy and read plenty of books to develop his vocabulary. How often, though, do you think about how to take care of your child’s mental health? If you’re like many adults, it’s probably not often. However, a child’s mental health is just as important as her physical health, particularly when it comes to behavior and academics. It’s estimated that 1 in 5 children experience a mental disorder in any given year, according to the Centers for Disease Control and Prevention. And while not all mental health problems can be prevented, you can take steps to help keep your child as mentally healthy as possible. One of the best things you can do to keep your child mentally healthy is to take care of your own mental health. Not only will you be modeling the habits that improve mental health, but you'll also be creating a healthier environment for your child. When parents have untreated mental health issues, children are more likely to develop mental health problems. Children are at an even greater risk of developing mental illness when both parents have mental health problems. A parent’s untreated mental illness may make family life inconsistent or unpredictable. It can also affect a parent’s ability to discipline the children and may strain a couple’s relationship. Those things take a toll on a child's psychological well-being. If you have a mental health problem, get treatment. Research shows when a parent receives therapy or medication to address a mental illness, children’s symptoms improve. A child’s relationship with a parent plays a large role in a child’s mental health. Developing a feeling of safety and security starts with building trust between parent and child. This means ensuring your child that you are going to meet both her physical and emotional needs. This includes taking care of her when she’s hungry, thirsty, hot or cold, as well as when she’s scared or sad. Be committed to doing what you say and saying what you mean. Empty threats, broken promises, and inconsistent care will make it difficult for your child to trust you. The relationship a child has with her parents is vital, but it’s not the only relationship that matters. A mentally healthy child will have a number of relationships with other family members, such as grandparents and cousins, as well as friends and neighbors. Even if you’re the type of parent who loves to spend alone time with your little one, give him the opportunity to connect with other people. Take a night off and allow your child to have a sleepover with grandma or his cousins. Arrange playdates with neighbors or kids from school as well. Remember how important your childhood best friend was to you at a young age? That relationship can make all the difference in a child’s mental health. The importance of being consistent can’t be overstated. Children crave a predictable environment, understanding what activity they are going to do next, whom they’re going to be spending time with, what consequences will be if they break rules and what privileges they will receive for good behavior. Whether you've moved to a new city, or you're going through a divorce, chaos and big changes can be difficult for kids. It's common for them to withdraw, grow anxious, or begin acting out when they're struggling to deal with their feelings. Establishing a routine, staying consistent with your discipline practices and ensuring your child understands what’s going on in his daily life. While it’s important to protect your child from traumatic events the best you can—trauma can contribute to mental health problems—you can’t prevent your child from experiencing stress. Stress is part of life. Disagreements with friends, being cut from a sports team, and failed homework assignments are bound to happen at one time or another. Give your child the skills he needs to deal with those circumstances. While one child may get stress relief from writing in a journal, another one may want to call a friend when he’s stressed out. So proactively identify specific things your child can do to keep his stress levels in check when he’s dealing with tough times. 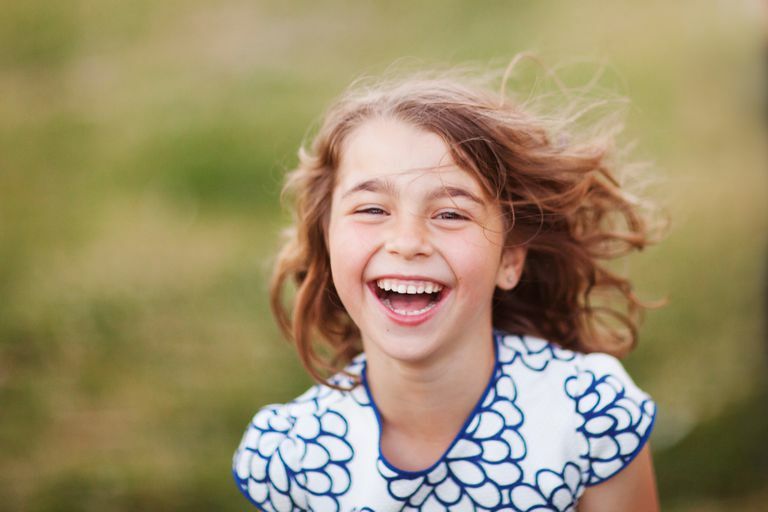 A healthy diet, a good night’s sleep, and plenty of exercise aren’t just good for you child’s physical health—they're essential to her mental health too. Teach her to develop healthy habits that will keep her body and her mind in good shape. There’s a lot of research that shows mindfulness and gratitude can also have a big impact on mental health. So you may want to incorporate those into your daily lives and in the process, you may improve the whole family’s mental health. Helping a child develop their self-esteem, which can give a significant boost his mental health, is two-fold for a parent: First, you want to do your part in boosting your child’s self-esteem. Second, you must teach your child how to develop his own self-esteem. Provide genuine, realistic praise. Saying things like, “You’re the smartest kid in the whole school,” won’t help your child develop healthy self-esteem. Avoid praising things she can’t control, like how she looks or how smart she is. Instead, praise her effort and steer clear of exaggerated compliments. Give opportunities for independence. Kids feel better about themselves when they’re able to do things on their own. So whether you’re teaching your child how to dress himself or you’re showing him that you trust him to make his own grilled cheese sandwich, kids feel good about themselves when they’re able to demonstrate competence. Help your child develop healthy self-talk. When your child says something like, “I’ll never be good at math,” it may be tempting to say, “Of course you will.” But that won’t help him develop a healthier inner dialogue. When your child says negative things about himself, ask questions like, “What could you do to get better?” or “What’s the evidence that’s not true?” Help your child draw healthier conclusions. Encourage your child to develop new skills. Help your child explore her talents and interests. Get her involved in activities and encourage her to work hard to get better. Be a good role model. A child who sees a parent constantly putting themselves down or doubting their own worth is more likely to mimic that behavior. If you struggle with self-esteem issues take steps to improve your self-esteem so you can be a good role model for your child. A child who is healthy—both physically and mentally—needs to play. Truthfully, adults need play, too! This is the time to put aside work, chores and other obligations and focus solely on your child, which shows him that he’s worth your precious minutes. While playing with your child, you’ll not only build a relationship but you’ll probably find yourself relaxing, too—and seeing a parent have fun and let go of worries can assure a child that she can do that as well. Some children are naturally a little self-conscious or a little more pessimistic than others. That’s not necessarily a problem. However, there’s a line where normal struggles turn into a reason for concern. If you noticed signs that your child feels sad or overly anxious about normal situations, like going to school or meeting new people, there might be a problem. A change in mood or behavior that lasts more than two weeks could be a sign of a problem. Be on the lookout for social problems, academic issues, or family troubles. Difficulty functioning in those areas should be a red flag. Talk to your child’s teacher or caregiver to see how he’s acting in school—is he unable to concentrate, sit still or focus on the task at hand? How are his grades? Is he mean to or physically harming other students or even animals? These are all signs that your child might need to see a professional mental health provider. Before you get too worried, though, remember that the problem might not be too serious or long-lasting. Sometimes a little bit of stress, like the birth of a new sister or brother, can cause a child to display a few concerning signs, but it usually subsides. It's estimated that only 21 percent of children with a mental health issue actually get treatment. That means the vast majority of children with mental health problems aren't getting the help they need. It might seem like a drastic decision, but there’s no age too early for a child to see a mental health provider. In fact, it might even behoove the whole family to attend family counseling if just one child is displaying some symptoms of poor mental health. Not only can it help improve your child's mental health, but it can also provide resources and support to the parent who may be struggling, too. Be proactive about keeping your child as mentally healthy as possible. But if you see signs of a problem, talk to your child's physician about your concerns. Early intervention can be key to treating problems as effectively as possible. Garland AF, Haine-Schlagel R, Brookman-Frazee L, Baker-Ericzen M, Trask E, Fawley-King K. Improving Community-Based Mental Health Care for Children: Translating Knowledge into Action. Administration and Policy in Mental Health. 2013;40(1):6-22. Improving Children's Behavioral Health. Centers for Disease Control and Prevention. Published November 29, 2016. Treatment of Children with Mental Illness. National Institute of Mental Health. Whitebread D. Free play and children's mental health. The Lancet Child & Adolescent Health. 2017;1(3):167-169.